Earth Day is April 22nd and the global theme is species protection. According to the Earth Day Network, the normal rate of species extinction on earth is 1-5 species per year. But scientists estimate we’re now losing species at 1,000 to 10,000 times the normal rate, with dozens of species going extinct every day. Maine is known for its abundance of wildlife, but even Maine has its share of endangered or threatened species. With a focus on animals, learn which Maine species are in jeopardy, learn a little bit about them, and simple things suburban Mainers like us can do to support native species. Teens and up. Offered as a free community service by Maine IFW. Cory is Regional Wildlife Biologist with the Maine Department of Inland Fisheries and Wildlife; he’s a Maine native with a B.S. in Wildlife Ecology and an M.S. in Wildlife and Fisheries Biology. 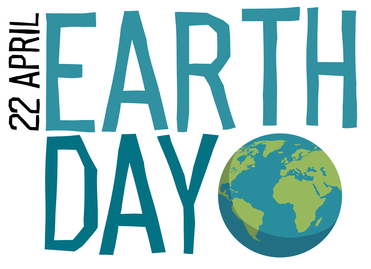 Join us for a day of earth-friendly activities! We’ll have seeds to plant, mud to play with, natural materials to create art with and more! Meet live animals with animal rehabilitator Josh Sparks (additional fee) and handle live caterpillars and moths with David Champlin, USM Biology professor. Throughout the day we’ll also have earthy story times, special face painting, and we’ll explore our collection of live honeybees, turtles, and tidepool creatures. In the afternoon, visitors can take home a seedling to plant, compliments of Hancock Lumber (while supplies last)! Free with admission.